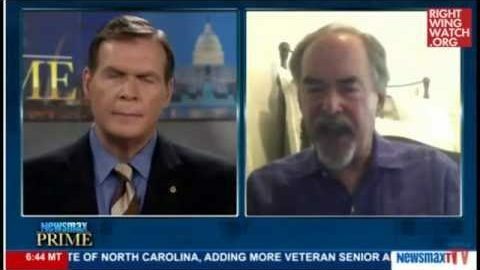 Conservative activist David Horowitz apparently feels that he has not been getting enough attention lately, so he has spent the last few days creating a social media firestorm with a series of revisionist-history tweets about his view that the United States’ violent history of slavery and lynching doesn’t have anything to do with racism or ongoing problems of racial oppression. These are ideas that Horowitz, a former leftist turned professional conservative crank, has been promoting in one form or another for decades. 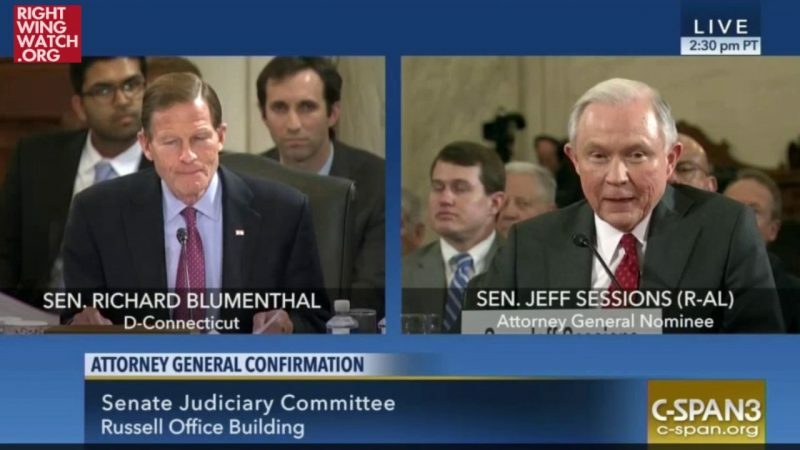 Yet that hasn’t stopped him from playing a key role in bringing far-right activists and politicians—including some who are now in positions of power in the Trump administration—together with ideologically allied funders. Every fall, Horowitz organizes what he calls a “Restoration Weekend” at a resort in Palm Beach, where politicians, far-right activists and potential funders can rub shoulders and pitch their projects. Last year, Steve Bannon, then the White House chief strategist, spoke at Horowitz’s Restoration Weekend, along with former Trump adviser Sebastian Gorka and handful of members of Congress, including House Intelligence Committee Chairman Devin Nunes. Also there was J. Christian Adams, who was at the time a member of Trump’s “voter fraud” commission. At the event, they rubbed shoulders with the likes of Milo Yiannopoulos, Ann Coulter, Gavin McInnes and Laura Loomer. 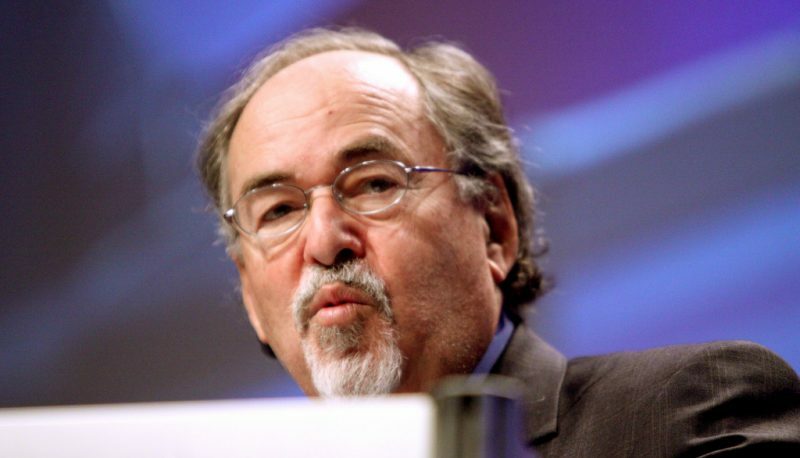 Other past participants in Horowitz’s events have included Rick Perry, now the secretary of energy, Sen. Ted Cruz, Sen. Ron Johnson, Mike Huckabee, Rep. Steve King, Rep. Louis Gohmert and many other members of Congress. Maybe Horowitz’s recent series of tweets will make some of these politicians reconsider their relationships with him, but given that he’s been saying variations on the same thing for decades with no repercussions from his Republican allies, that seems unlikely. 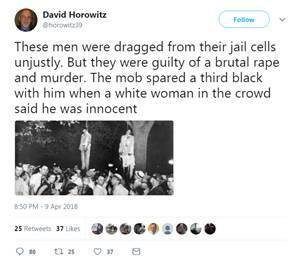 Horowitz then went to town over the next few days, digging in on his revisionist history of slavery, and adding some thoughts about lynching as well, tweeting a photo of a lynching to say that the victims were guilty of crimes and then complaining about “the anti-white racism” of current discourse about the history of lynching. 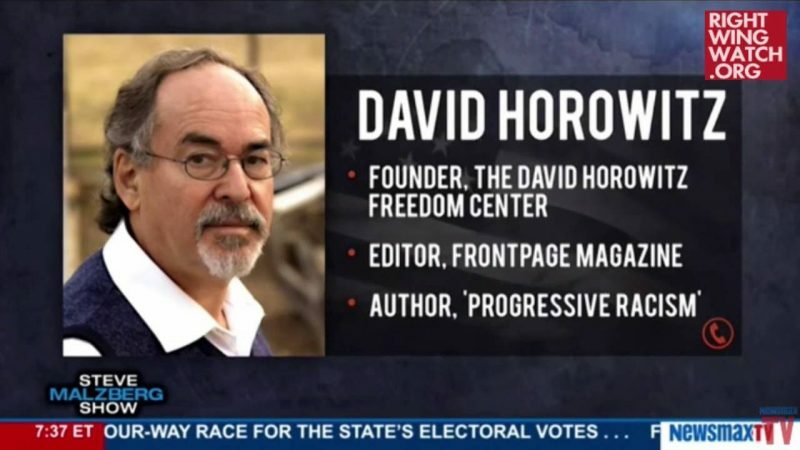 Horowitz’s “thank white people for ending slavery” shtick has been part of his routine for years, since long before future members of the Trump administration were partaking in his expensive Florida networking retreats. He even wrote a book about it.